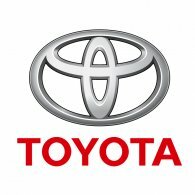 A while back we completed a really nice and easy to use Microsoft Access database for Toyota. The database was initially designed and developed onsite, and the rest of the work was completed remotely by one of our East Coast Senior Developer offices. The database used an advanced graphical user interface (GUI) based on Microsoft Access forms to truly allow a point and click experience for the user. The images displayed below allow you to see how an advanced GUI is built. While your firm may not be as well know as Toyota or you might not be as large, at Excel Consultant, you get the same service, the same commitment to excellence, and the same guarantee. It is of value to see that extremely complicated and advanced Microsoft Excel and Access custom solutions can be completed remotely using meeting software such as GoToMeeting or Skype, cloud storage such as Box.Net or Dropbox, and e-mail for general correspondence. For this project we went onsite, at an added cost to Toyota, to gather information and requirements for the project. We are proud to say that the application has worked perfectly since placed into production. So no matter your location, United States, Canada, Europe, Australia or elsewhere, we can satisfy your needs. For onsite projects, accounting for any applicable reimbursable travel costs, we are available as needed throughout the project.